Popcorn kernel bread ™ - O! Mr Speaker! It is, with no doubt, the greatest idea I have ever had: bake bread with a bunch of popcorn kernels in it. This idea... it's just... it's by far better than any other idea on this blog. It's better than my Kentucky Fried Chicken Feen from 2005. It's better than my BASIC revelation from 2015. As far as ideas go, it's just about the best there is. The best I could hope for. 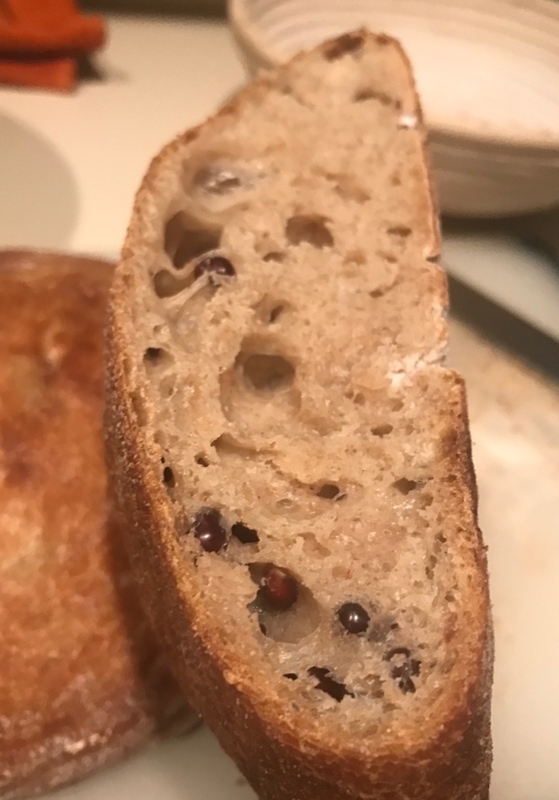 Since taking up the challenge of catching wild yeast in my house, trapping it in a container, feeding it after midnight, then harnessing it's power to convert boring old flour into delicious leavened sourdough - I've began wondering how I could push the limits of this ancient art form. Adding popcorn kernels was the answer I came up with. 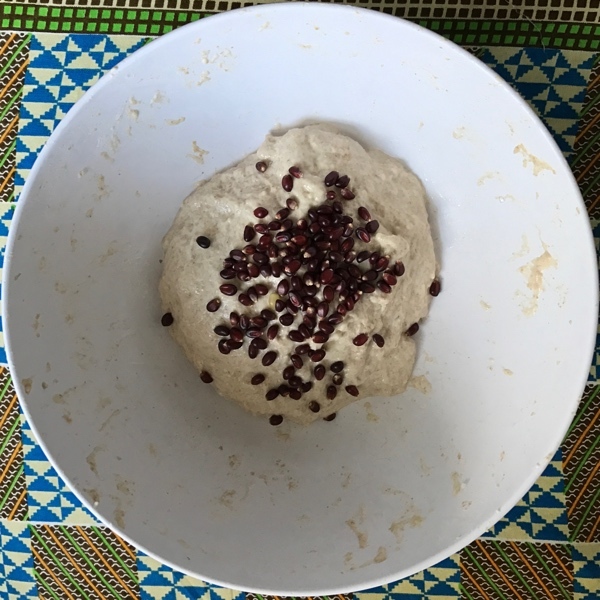 I mixed in a handful (a bit more I guess) of kernels in to my active-starter-powered dough, and mixed them in thoroughly. Some time later, beautifully-browned, delicious-smelling, sourdough bread. Perfect in every way bar one: it was filled with un-popped popcorn kernels. 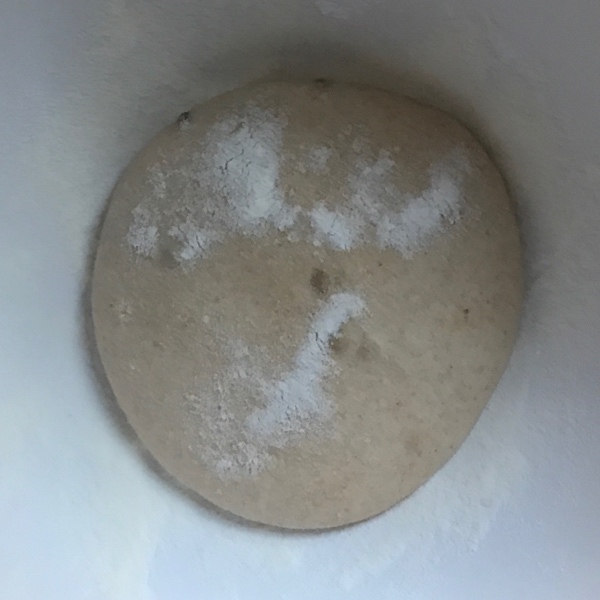 Not even those on the outside of the dough went out with a bang. 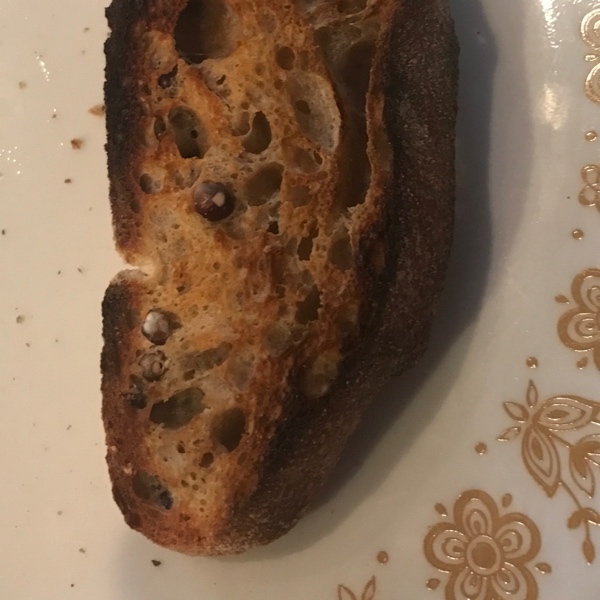 A second great idea arose from the ashes: how about toasting the bread with the still-intact kernels? Could it maybe, possible, maybe give us some kind of interesting result?! No, it couldn't. The kernels were inert. Why they refused to pop in the oven, I can not say. In fact, I have not tried to analyse possible reasons, or develop alternative ideas for overcoming these reasons - because of my deep deep disappointment. Also my laziness. Still... such a great idea. [UPDATE! I received this great suggestion from Snaptastic (but have since temporarily removed comments, so I'll just post it here! )]: This would be so great!! Try wrapping a kernel in foil next time. And be careful not to eat it. If it pops,then you know it’s a sogginess issue. If not, then might be a temperature issue. I read somewhere that kernels shouldn’t be completely dry since they rely on steam to pop. If it’s a sogginess problem maybe you could coat the kernels in oil first? We need to get to the bottom of this! This was written by Mr Speaker. Posted on at 7:25 am. Filed under The common man, Wide world. Bookmark the permalink. Follow comments here with the RSS feed. Trackbacks are closed, but you can post a comment.